With each chase and the cherished moments with Dash, Blake discovers her own self-worth and gains the strength to end things with Justin for good. But he won’t go easily. 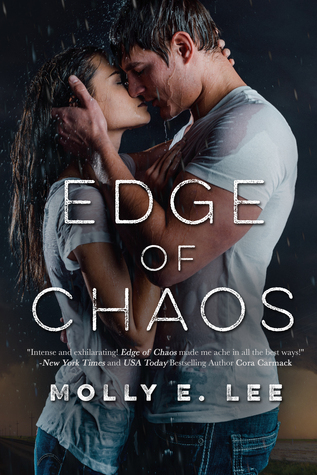 As Blake tries to sever ties with one man, she fears she’ll lose the other to his dangerous obsession—and she doesn't know if she’ll be enough to save him from the impending storm that could end them all. I started seeing previews for this book on Facebook before it released. I was immediately interested. I’d read one other book with a main character that was a storm chaser and really enjoyed it. Plus my daughter is studying meteorology in college. After I started reading the book I also discovered that Blake’s original college choice was one of my daughter’s top choices. One of the things I saw promoting this book was a contest for ARC copies of the book. I was really hopeful that I would win a copy - I wanted to read it that bad. I didn’t win though. So when the book released and I saw it was only $.99, I one-clicked it without hesitation. I absolutely loved this book. Blake was in an abusive relationship. Originally I thought it was going to be a physically abusive relationship, but it was more mental abuse. She had known her boyfriend Justin for so long that she had begun to lose herself. Then she meets Dash whose storm chasing blog she had fan-girled over and quickly becomes friends with him. They are both in relationships so there’s no pressure to be more than friends. They quickly find themselves confiding in each other like a best friend. Dash quickly realizes how toxic Blake’s relationship with Justin is, but doesn’t want to push too hard to avoid damaging their friendship. The longer Blake is friends with Dash, the more she begins to see how Justin treats her is wrong. She eventually calls it quits with Justin, but still agonizes over his well-being. Dash makes the mistake of pushing Blake too much to show her just what a dirtbag Justin is and pushes her away from him in the process. They do eventually get their happy ending among the tornadoes. I found nothing not to like about this book. It was a fast-paced read. Blake knew what she wanted for her life as far as careers went and went for it. Dash was a perfect gentleman with a bit of playfulness to him that I immediately fell in love with. I will definitely be reading more of this author’s books when she releases them. Yes, storm chasing. I just found out my daughter is going storm chasing tomorrow. I'm excited and scared for her!